No Corn Formula results in lower NSC (sugar + starch). 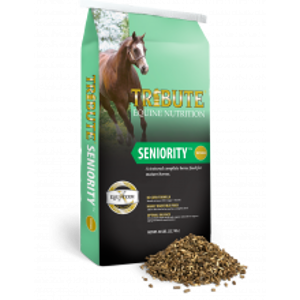 Highly digestible fiber allows this feed to be used as a complete feed. Optimal balance of essential amino acids, organic minerals, fatty acids, and antioxidants to meet all nutritional requirements, for healthy hair coats, and support of aging and muscle maintenance.